The situation today concerning human fertilization in vitro has been transformed beyond recognition. 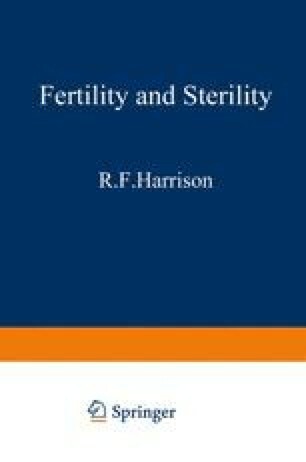 From the early, challenging ideas of 19651 the clinical opportunities of the method were first demonstrated in 1977, when the first embryo implanted after replacement in the uterus; unfortunately, this turned out to be an ectopic pregnancy2. Two years later, the birth of the first children conceived through in vitro fertilization ushered in the beginnings of this new form of clinical medicine for the alleviation of infertility and, perhaps, for the avoidance of inherited disorders by identifying embryos which were afflicted with genetic disorders. Today, the potential of in vitro fertilization as the cure for infertility has been amply proved, as I hope to show in this chapter.